DMA rebrand follows a sustained period of consolidation and growth for the 50-strong practice, which has secured 11 substantial new projects during the last twelve months and opened a new studio in Copenhagen, Denmark. the operation and management of the co-living space. designs from all the competitors, which are also sensitive to their urban setting. their design for a planning application. 8 June 2017 – Mary Duggan to launch new practice while Joe Morris retains the Duggan Morris name, reports Building Design magazine today. Mary Duggan to launch new practice while Joe Morris retains the Duggan Morris name, reports Building Design magazine. Mary and Joe both studied at The Bartlett School of Architecture in London. Mary Duggan graduated from the Bartlett School of Architecture in 1997 and co-founded Duggan Morris Architects in 2004. Mary focuses on the design output of the office for all projects with an emphasis on the tools and methods used to process a project towards a design solution. Creative dialogue encouraged through internal critique cultivates active research specific to each project. The role is arduous, but essential to sustain an exemplar level of delivery. Joe Morris graduated from the Bartlett School of Architecture in 1996, and following an extended period of practice for one of the UK’s leading architectural studios, co-founded Duggan Morris Architects in 2004. Design and communication is a key component of Joe’s role. Working closely with clients across commercial, residential and public sectors, at both a strategic as well as detailed level, Joe skilfully balances the formal and programmatic intentions of the studio with the economic, cultural, political and technical conditions of each project. This has brought innovation to these sectors that might otherwise default to generic outputs. Duggan Morris Architects has secured planning on a major regeneration scheme that will provide close to an additional 100,000 square feet of retail and exhibition space within the existing Design Centre at Chelsea Harbour. 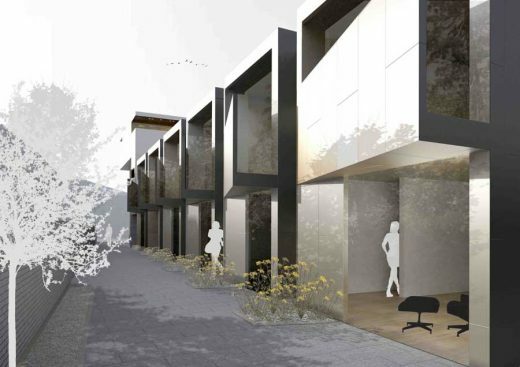 The proposals incorporate six duplex apartments and two flats in a refurbished building and a new penthouse unit on the site of the former Priory Manor Health Centre in Lewisham. 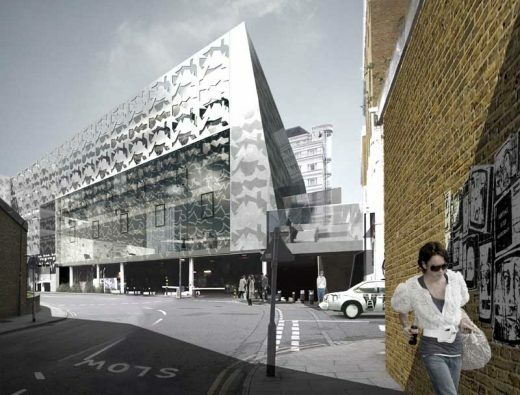 The existing facility moved to the newly built Kaleidoscope building on Lewisham High Street in 2006. A 50m high illuminated tower has won the international design competition for the proposed Mersey Observatory on Crosby beach. The design by Duggan Morris Architects emerged as the frontrunner in thousands of votes and comments from local people, and was the unanimous choice of the judging panel. Ten thousand people voted in an online poll on the five shortlisted designs, with Duggan Morris most popular on 47 per cent of the votes. London’s Duggan Morris Architects has won the international contest to design a £250,000 canalside pavilion to the north of Liverpool. The practice’s design of a canoeist’s profile in full motion which opens out with jetties opening out onto the Leeds and Liverpool Canal in South Sefton won over the judges in the competition which saw entries arrive from all over Europe. 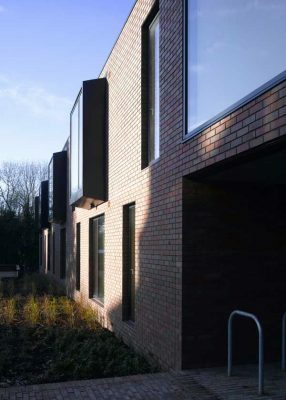 An efficiently planned L-shaped building provides 12 self-contained residential units, with semi-communal internal spaces and landscaped external spaces and lawns. The scheme adopts a long low profile of two asymmetric wings conjoined at right angles. At the junction of the two wings a clearly identified, recessed main entry is located with frameless glazing opening into a double height void finished in vibrant yellow. Duggan Morris Architects – design office based in Shoreditch. The architect studio is headed up by Mary Duggan and Joe Morris. 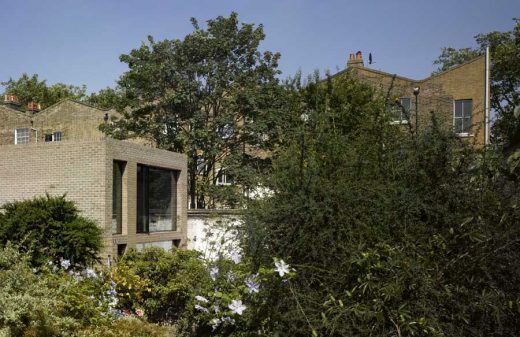 Mary and Joe studied at The Bartlett School of Architecture in London and the practice at time of writing (2008) employs 10 full time architects. Duggan Morris Architects’ current portfolio ranges from private residential commissions to large-scale commercial, developer–led and affordable housing projects. September 13, 2017 in Architects.